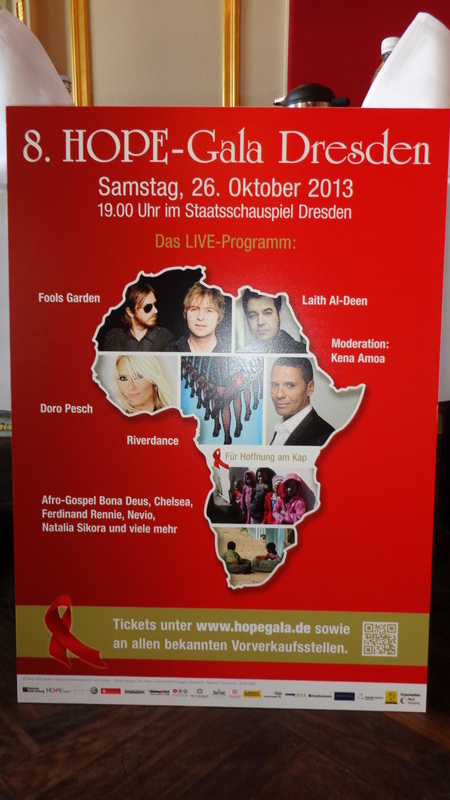 Yes, time is flying and the HOPE Gala in Dresden is fast approaching. On Saturday, 26th of October 2013 the 8th HOPE Gala takes place again and Viola Klein as well as the PAR X Team under the umbrella of the HOPE Kapstadt Stiftung, the twin of the HOPE Cape Town Trust in Germany administrated together with the German AIDS Foundation are in full swing again. Not to forget Saxonia Systems, the company in Dresden which is headed by Viola Klein and Andreas Moench, who initiated the Gala and is since then a great supporter of HOPE Cape Town Association & Trust. It’s a great opportunity to visit the city of Dresden and to see for yourself how beautiful and magnificent the city has developed its old heritage. So it is not only for German-speaking people but also for those from South Africa or elsewhere in the world, who always wanted to experience Germany as it’s best. 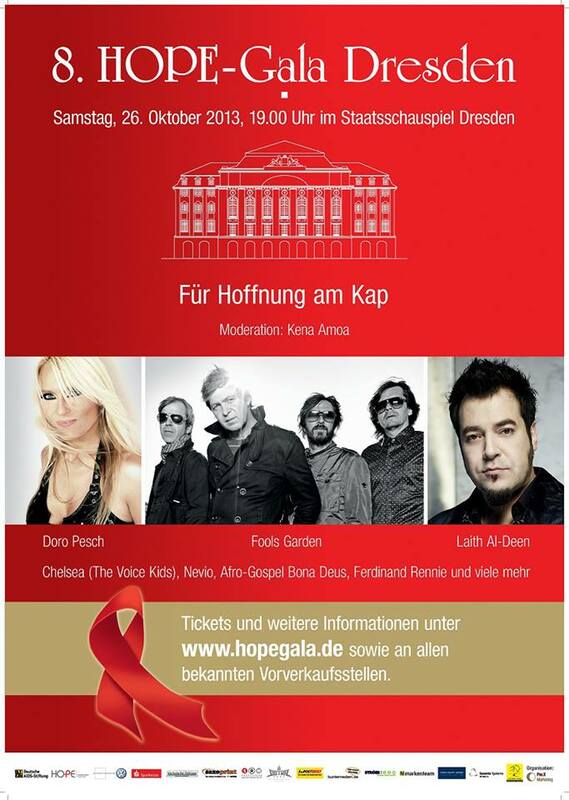 More info for the German-speaking people under http://www.hopegala.de. For those more fluent in English please contact Kerstin Behlau (admin@hopecapetown.com). And yes, we also have a travel agent giving advice how to get the best and cost saving flights to Dresden at that time of the year.